Share the post "Chicken Alfredo Pizza"
Cook 3 chicken breast and cut up. Prepare crust. Two packs pizza Crust mix. 6.5ounce bag. Follow directions for crust on package. 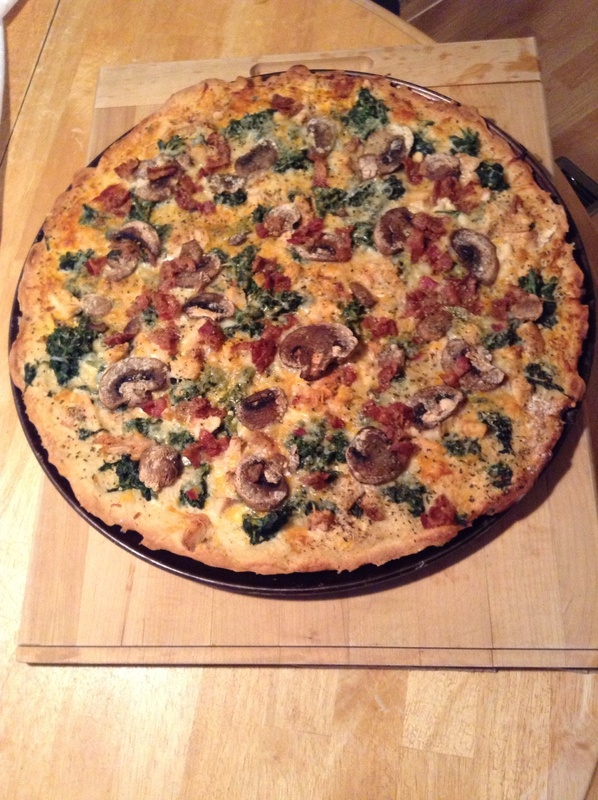 Spread Alfredo sauce on crust, then spinach, chicken, mozzarella cheese and mushroom and bacon on top. Then salt, pepper, garlic powder and basil.